Just a short stroll from the town's historic market place, hidden up a picturesque mediaeval backstreet, you'll find The Golden Cross Inn. This early-18th Century coaching inn offers a warm welcome to all, from those seeking a thirst quenching pintof real ale to discerning diners looking for gourmet British cuisine, and of course to weary travellers looking for a bed for the night. While the building itself dates from the mid-17th Century, landlord Mark Lindesay and his dedicated team have recently transformed the pub into a welcoming hostelry offering contemporary standards of service, great food, good company and comfortable, well-equipped bedrooms, suites and apartments. The Golden Cross Inn offers the perfect combination of contemporary sophistication and traditional charm with its exposed beams, classic pub ambiance in its snug bar, combined with a light, airy dining area, all tended by friendly and attentive staff. In the winter the pub offers a warming retreat from the outside cold with its log fire and “tucked away" feel, while in the summertime you'll discover the pub's “hidden treasure", a stylish, sheltered sun-trap of a Cotswold garden – an ideal setting for a late-afternoon Pimms or weekend barbecue. or relax in our street-side seating to the front of the pub and while away an hour or two watching the world pass by. 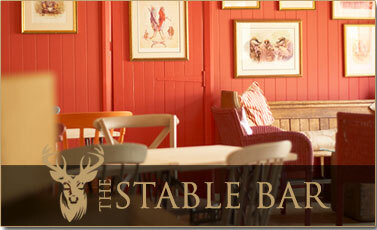 Finally the pub's Stable Bar offers a flexible space for functions, parties and events, with Sky and BT Sports TV showing all the live sporting action. 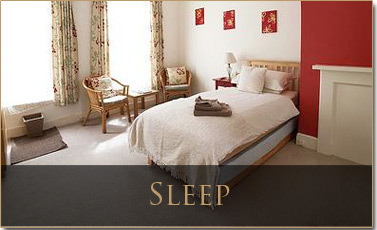 Under the stewardship and management of landlord Mark Lindesay and his team, The Golden Cross Inn has developed into a popular venue for those living in or visiting Cirencester, retaining the traditional welcome of an historic coaching inn while offering contemporary comforts for discerning guests and travellers. 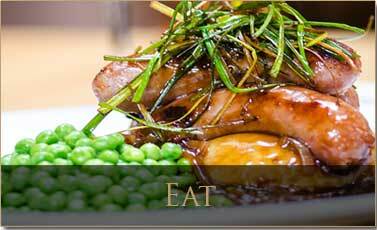 As the pub's motto states, The Golden Cross Inn is indeed “so much more than a back street pub".